The Largest Collection Of Images Ever! I was joking to self — or to someone, can’t recall — sometime ago about how I’m secretly amassing the largest collection of black contemporary writers like…ever! 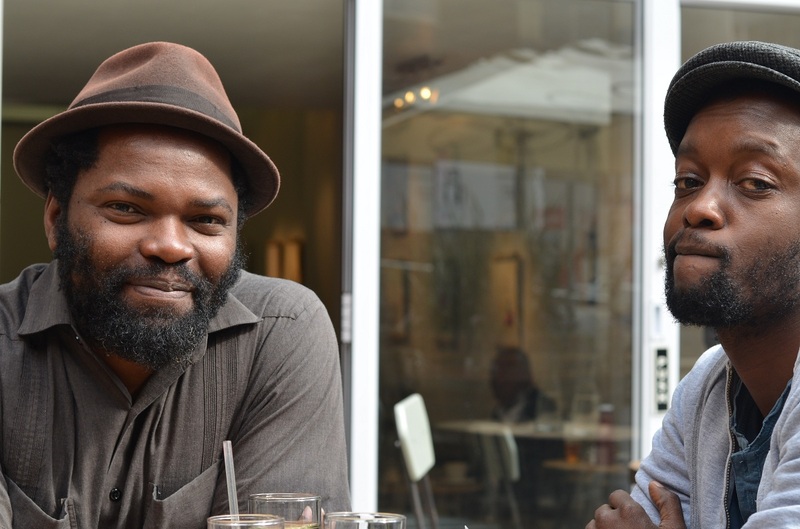 This picture of writers Ntone Edjabe and Percy Mabandu, taken 20th September 2013, was kinda what sparked it all. I’m still in on the ‘joke’ and shall be publishing more portraits. In time, maybe the goal shall be achieved — in some section of the world, maybe. We’re allowed to dream, right? *Percy’s got a book called “Yakhal’inkomo: Portrait Of A Jazz Classic” coming out soon. Like the facebook page.